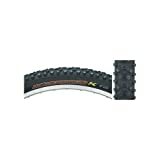 This Maxxis Ignitor tire is a world cup winning trail and cross country tire with many victories and it features a versatile and innovative tread pattern designed for distinguished pro bike racers. The tire is suitable for both rear or front use and the tread pattern are adequately spaced offering good low rolling resistance on straight roads, while the ramped pentagon shaped protrusions delivers exceptional grip on medium soil and when negotiating corners. It handles grips on diverse road surface conditions superbly by utilizing a Kevlar that’s pliable and tough offering puncture resistance properties. It uses a sturdy wire ring to surround the inner edge thereby properly aligning and keeping the tire seated with rim during inflation. The Maxxis Ignitor tire is a high quality tire suitable for diverse road conditions from rocky to muddy surfaces while offering low rolling resistance. They are tubed tyres but can be configured personally to work tubeless with any tube kit which can be gotten at bike shops. It is not suitable however for street use as they tend to quickly reduce the life span with use on pavement. 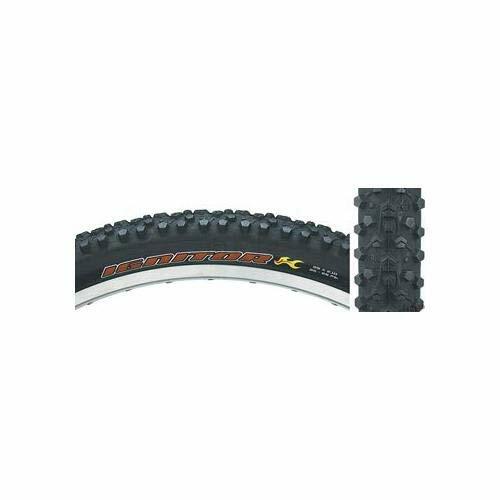 The pentagonal knobbed threads repels mud with efficiency and the sidewalls which is however smaller compared to a standard tire, nonetheless offers enough flexibility ensuring the tire grips firmly when taking turns that are tight as well as riding upslope with less tire noise. It also offers excellent gripping properties on wet terrain delivering a tough material that is resistant to puncture with superb sturdiness. All in all, you shouldn’t think twice before getting this tire if you do some serious biking. It’s good value for money.